Materials: muka and pheasant feahters. Sold arts trail 2012 and now in Sydney, Australia. 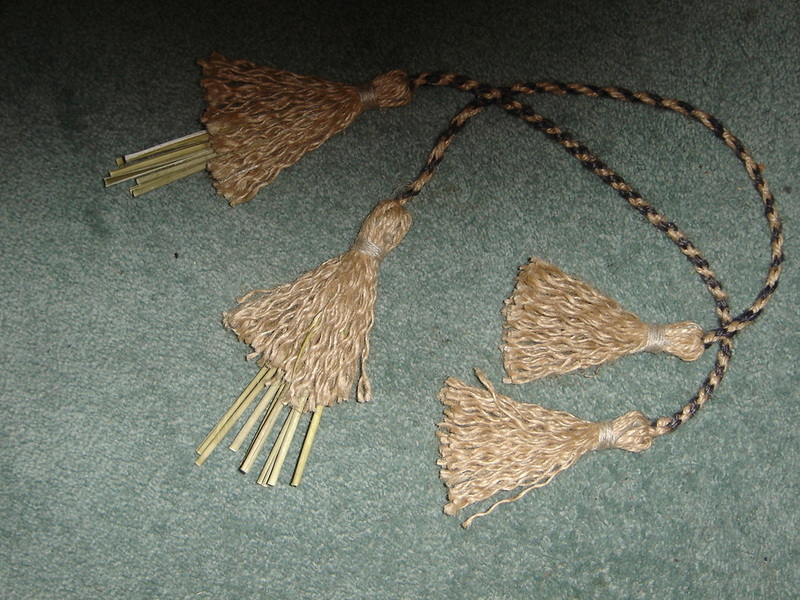 Materials: Jute, harakeke, kiekie, feathers, haberdashery. 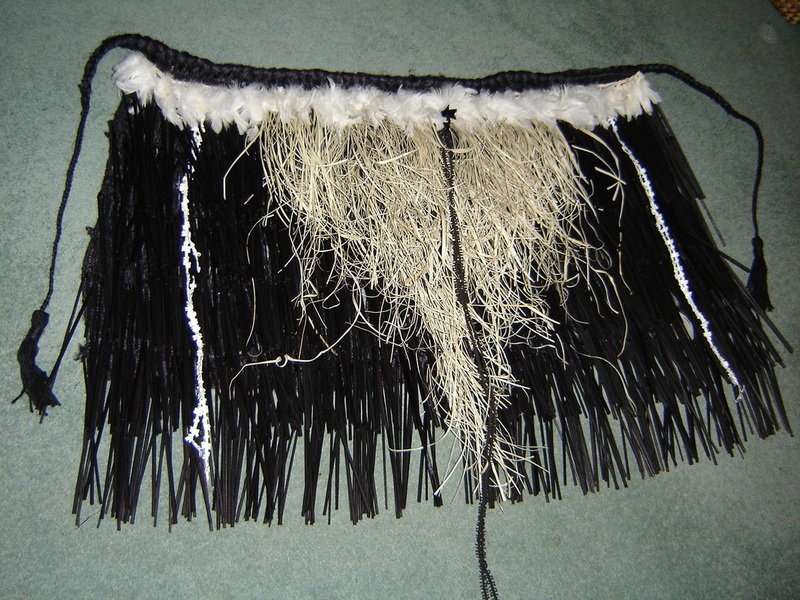 Made using harakeke (NZ flax). 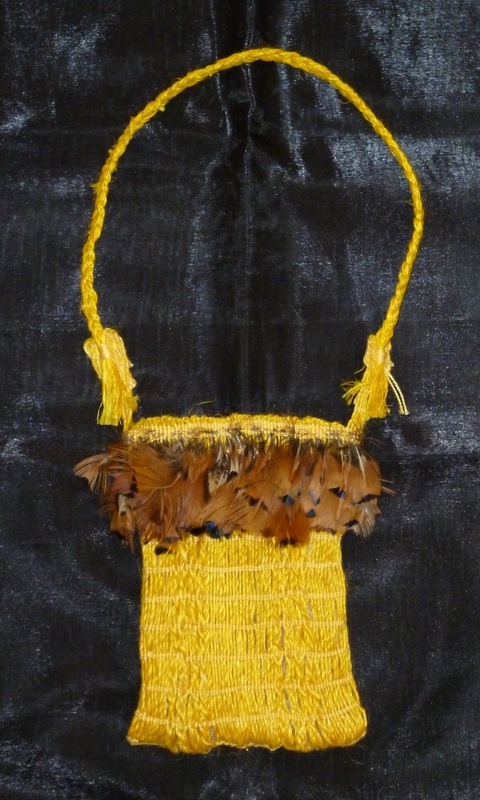 This kete can have many uses, like vegetable storage, beach bag, and a friend stores her scarves in it & off course for decoration.